A warm outfit today, with my lovely beanie and scarf. Vintage pieces are lately my desire, so this vintage bag is my favourite lately. As you may have guess it's my mothers. 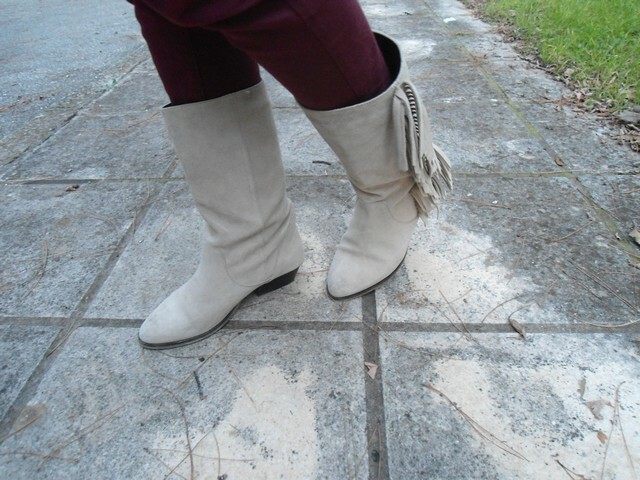 When it's not raining I wear my supertrash boots with fringes. What do you think of my outfit? i love the pom pom of your hat so cute!!! cute and cosy! 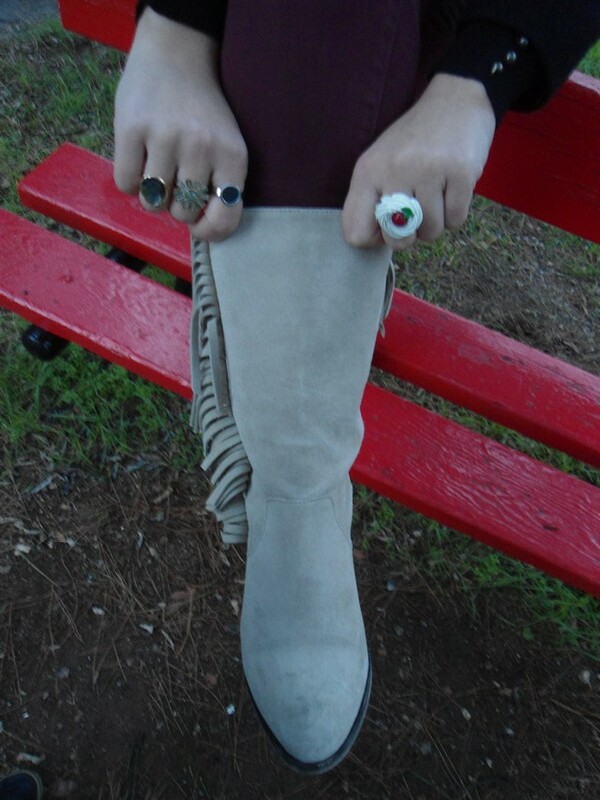 love the rings! Love your ring dear ! cute outfit! looks so adorable and warm! yeah nikhsa!yperoxo look glykeia mou!ta aksesouar alla k oi mpotes einai yperoxes! 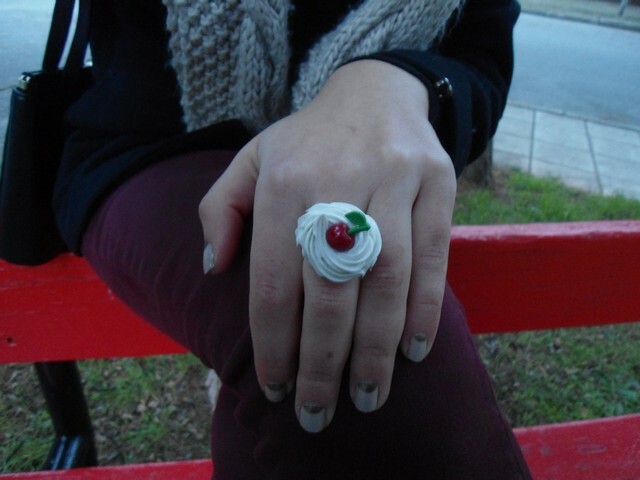 love your yummy ring and your manucure ! awesome ! I really like your outfit! Burgundy and black is such a classy and wintery combination.